To be previewed by a concept at the 2017 Geneva Motor Show. 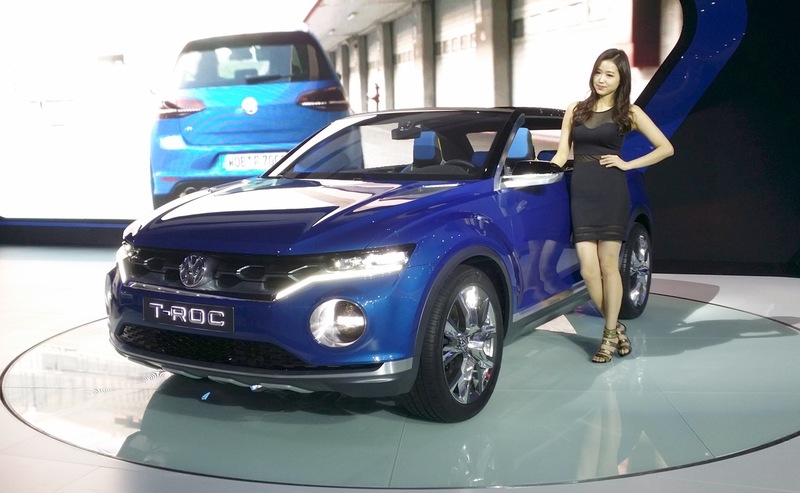 The VW T-Roc will be a VW Golf class SUV positioned between the VW T-Cross Breeze and the VW Tiguan. The VW T-Roc will be placed between the upcoming VW T-Cross Breeze and the VW Tiguan, measuring 4.3 metres long. The concept has two doors and a detachable roof, but the production model will get the conventional four doors and a fixed roof. Underpinned by the MQB platform, the VW T-Roc could draw power from the 1.0-litre TSI three-cylinder, 1.5-litre TSI Evo four-cylinder petrol, 2.0-litre TSI four-cylinder petrol (T-Roc GTI), 1.6-litre TDI four-cylinder diesel and 2.0-litre TDI four-cylinder diesel engines. A 6-speed manual and a 7-speed DSG automatic could transfer power to the wheels. The VW T-Roc will be based on the MQB platform, and will not feature the concept's detachable roof or two-door body style. The VW T-Roc should sport the latest technologies offered on the company's compact models, including the 12.3-inch Active Info Display fully digital instrument panel and a 9.2-inch touchscreen infotainment system with gesture control and voice control. Sales of the VW Golf class SUV, as per AutoEvolution, will commence in international markets including the USA in 2018.